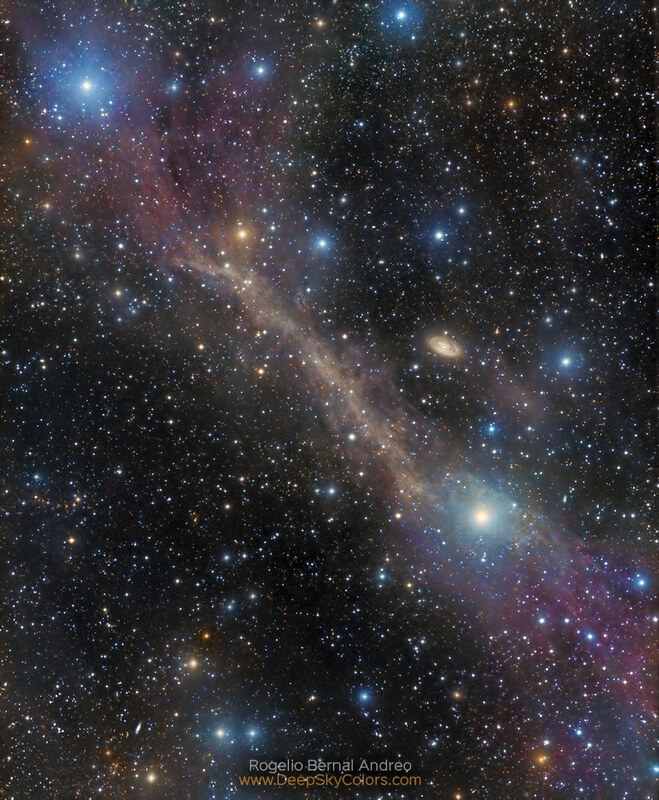 Here's an image I released in March 2017, which gives you a first-time look at the faint high galactic cirrus clouds (IFN) in this area of the sky. The small spiral galaxy near the center is M64 or Black Eye Galaxy. The brown and reddish dusty structures you see dominating the image may appear bright, but in reality they're extremely faint - even the brightest area in the middle barely sits above the noise floor . As usual in many of my images, the goal was to make visible what we rarely see, even in other deep photographs, while not blowing out other - actually bright - objects. In fact, the "double flare" looking cloud (it looks like that to me) started appearing as nothing more than a dim smudge against a black background at first. Long story short: here's the footprint of the IFN around M64, hope you like it, use it wisely!